We were pleased for Infusion’s Dan Cossette to be teaching for Springs Dance Company at their annual London Summer School. 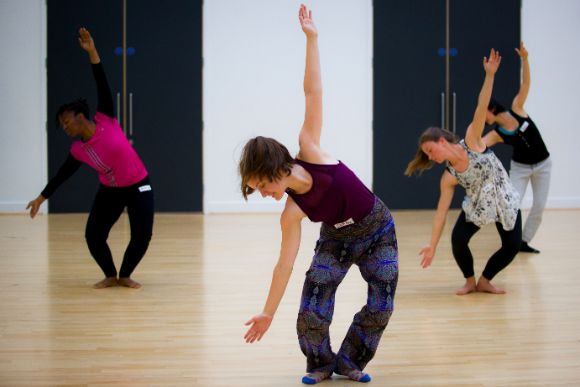 This brought aspiring dancers, and first time movers, from across England and Scotland, to receive technique instruction and creative/choreographic activities. The students developed their own dance which they presented before the main company’s evening performance at the end of the week. Springs performed Bread of Life, a beautiful depiction of Christ and the community and relationship he seeks with his disciples through the entryway of the bread and the wine. Following a similar theme the students brought vibrant images of unity-through-beautiful diversity as they explored their theme, One Body, One Church. Individuals’ movement blended into ensemble designs, before a network of connected dancers became so entwined that even a slight movement from a single member of the structure sent echoes through the entire formation. Great job dancers!